Microsoft announced a number of new and updated developer tools today at its annual developer event, including cloud subscriptions for Visual Studio and a preview of the new Azure Service Fabric. In a bid to give developers more power, Microsoft has introduced the new free Visual Studio Dev Essentials program. It’s available immediately and gives developers the ability to build apps using any device and operating system with the technology they prefer or already have without additional costs. Developers using the program will get access to tools and resources like Visual Studio Community, Code and Team Services, and Parallells Desktop. Users can get training from Pluralsight, Wintellect and Xamarin using the new $25 Azure credit option, which will be available early next year, according to Microsoft. 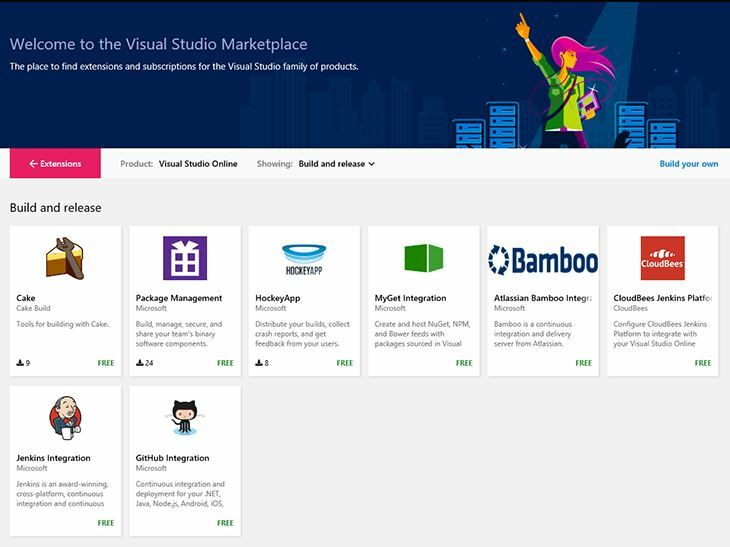 Microsoft has also introduced monthly and annual cloud subscriptions for Visual Studio Professional and Enterprise through its new marketplace section. Continuing its quest to make life easier for developers, the company has made its Microsoft Graph API available to everyone. This means developers can now access data, intelligence and APIs in the cloud with a single authorization token. Microsoft is also making its Azure Service Fabric available for public preview today. The platform makes it easier for developers to build and operate microservice-based apps at scale and fully integrate them with Microsoft Azure and Visual Studio. The preview supports .NET development on Windows Server and the company says Linux support is coming in 2016. Open by design, Microsoft’s developer platform has long allowed developers to create apps for essentially any device and platform. And now, to round off its release of updates and new products, the company has made its Visual Studio Code beta available on GitHub. The code editor is part of the Visual Studio suite that runs on OS X, Windows and Linux, and Microsoft says it has been downloaded more than 1 million times in preview already. The beta version available on GitHub features a new gallery of extensions for additional features, language support and themes.